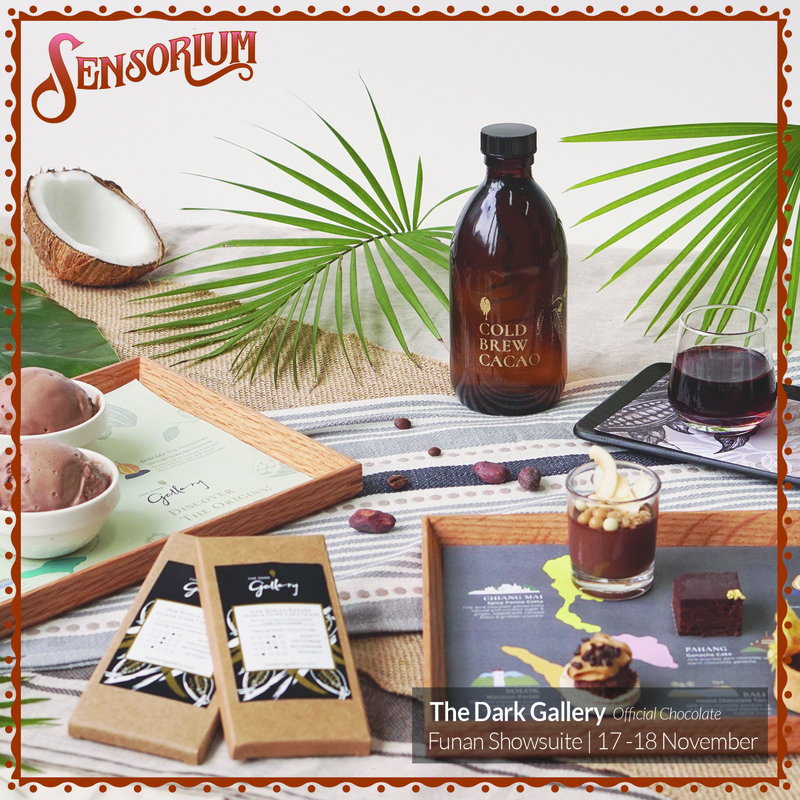 The Dark Gallery is the first dark chocolate centric cafe and boutique concept in Singapore, encompassing not only a wide range of decadent dark chocolate desserts, but also providing a discovery platform about the origin of the chocolates used, and the art of making these dark treats. The Dark Gallery will be hosting a workshop at Sensorium 2018! Workshop participants will be guided through on the process of tasting dark chocolate, using all 5 senses to appreciate the nuances of different Single Origins. Apart from tasting the dark chocolate made from the cacao grown in five different southeast asian countries and their different taste profiles, participants will also get to taste 5 different mini pastries in our Single Origin Chocolate Pastries Platter, made using the very same chocolates.